სემუელ ჰენრი ჯონ უორთინგტონი (ინგლ. 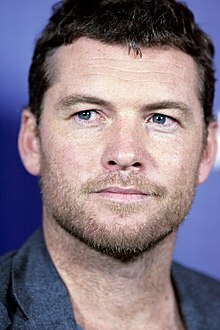 Sam Worthington, დ. 2 მარაშინათუთა, 1976) — ინგლისური გორჩქინაშ ავსტრალიარი არტისტი. თიქ ჯოხო მიპალუ თარი როლეფიშ რსულებათ ფილმეფს ავატარი, ტერმინატორი: გინოსქილადა, ტიტანეფიშ ლჷმა დო თიშ გაგინძარებას, ტიტანეფიშ რისხუა. სემიქ გიმორჩქინდჷ ხოლო ვიდეო-ლაჸაფის Call of Duty: Black Ops დო თიშ გაგინძარებას, Call of Duty: Black Ops II. ↑ Maeve Dermody Gets All the Hot Boys. Au.lifestyle.yahoo.com (10 ქირსეთუთა, 2009). კითხირიშ თარიღი: 2010-09-12. ↑ Sam Worthington's girlfriend Natalie Mark shones at Inside Flm Awards. The Daily Telegraph (18 გერგობათუთა, 2009). კითხირიშ თარიღი: 2010-09-12. ↑ Incident 123082579. Atlanta, Georgia, Police Department via E! Online (3 გერგობათუთა, 2012). კითხირიშ თარიღი: 2012-11-5.
თე ხასჷლაქ ეკონიას გეახალუ 19:15-ს, 27 კვირკვე 2016-ის.